I did Chinatown, so whats next?? Majority of the people working there are Korean who are bilingual. cool! 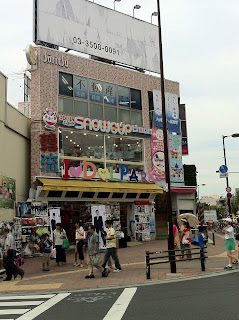 I started off my adventure walking down Okubo-dori, right where the Shin-Okubo Station is. I first stopped by one of several Korean supermarkets. 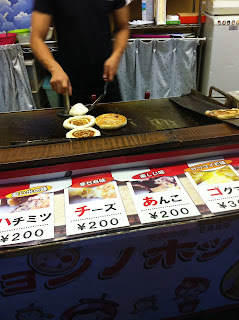 This popular place is named Chongane. They have Korean groceries and food on the 1st floor. I love how they offer samples of all the kimchi and banchan!! 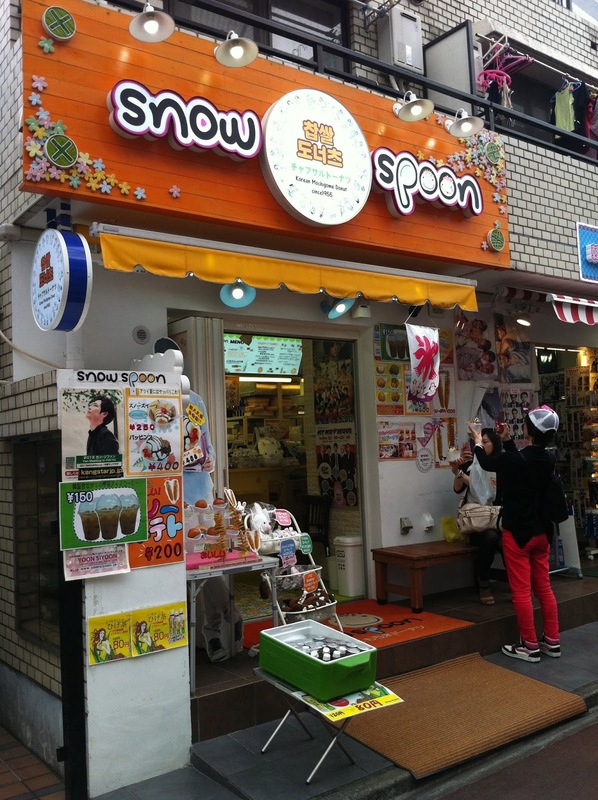 The 2nd floor is known as Skin Garden where they have all the Korean cosmetics and beauty products. Then I went to Seoul Ichiba for more groceries. This is my favorite supermarket there. yes I ate it ALLLLLLL .....oops! F O O D > . < !! 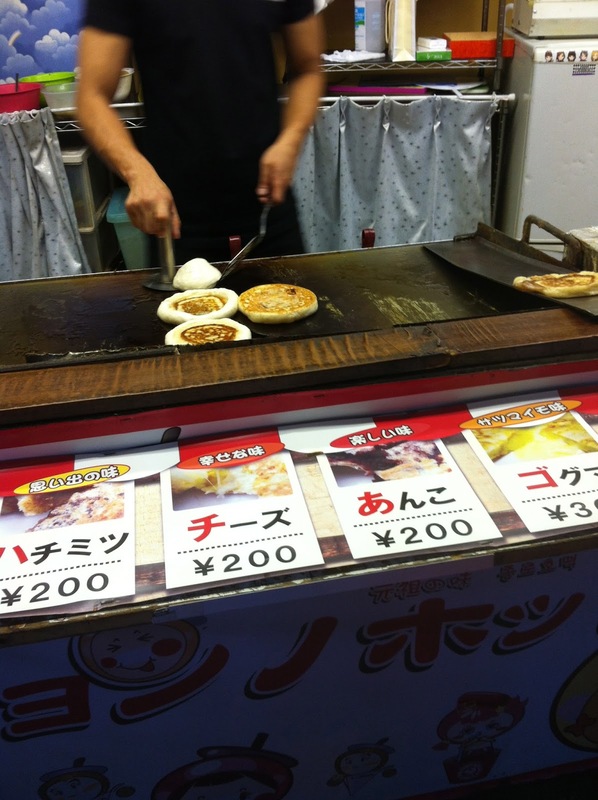 Hotteok is a popular Korean street snack that is grilled, pancake-like that comes with a variety of fillings. I got the traditional honey one with brown sugar. 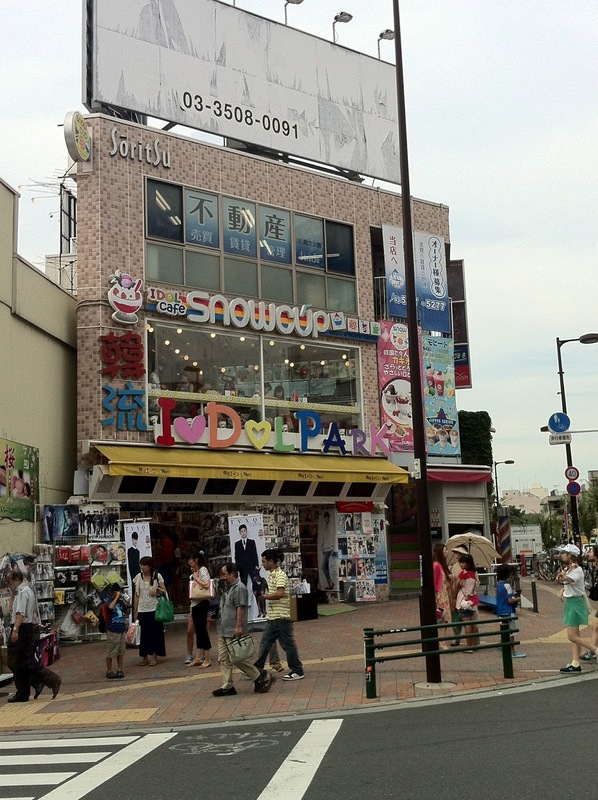 Walking back down towards the Shinjuku Station, I had to hit my fave place Don Quijote. This one in Shin-Okubo is particularly famous since its the biggest location and is in the heart of Koreatown. This alley that Don Quijote is located in is a very popular spot because it is packed with the best Korean dessert cafes and beauty stores. Going to all these Korean grocery stores, I realized how much I love yakbap <3 I just wanted to mention that LOL. Its so good, you guys should try it sometime. It basically sweet steamed rice with nuts and raisins. It has such a different taste and chewy texture that I dig. And I bought SOOOO many snacks. Its a Korean traditional sweet confectionary made from wheat four, honey, and seasame oil. Thank god I had a walk home to look forward to because I was in desperate need to burn off all those carbs today HAHAHAHA!! Im cray cray.